February 12, 2016 – Former astronaut Dr. Ronald Sega will be the speaker at Pueblo Community College’s commencement on May 13. Sega, a native of Ohio, graduated from the U.S. Air Force Academy in Colorado Springs in 1974 with a degree in mathematics and physics. He earned his master’s degree in physics from The Ohio State University in 1975 and his Ph.D. in electrical engineering from the University of Colorado-Boulder in 1982, after which he began teaching at the University of Colorado-Colorado Springs. In 1990, Sega became an astronaut. His first space shuttle flight was in 1994 on the Discovery; his second was in 1996, during which he served aboard the Atlantis as payload commander for the third shuttle/Mir space station docking mission. Sega was a co-principal investigator and mission director for the Wake Shield Facility, a system that was used to prove the vacuum-wake concept and led to the development of better photocells and thin films. He also served as NASA’s director of operations in Russia, helping to train cosmonauts and astronauts for flights to the space station. He retired from the Air Force Reserves in 2005 with the rank of major general. From 2005 to 2007, he served as an undersecretary of the Air Force, leading a team that won the overall Presidential Award for Leadership in federal energy management in 2006. Sega has been a professor of systems engineering at Colorado State University in Fort Collins since 2007 and is the director of systems engineering programs and special assistant to the chancellor for strategic initiatives. 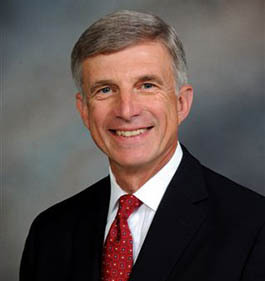 From 2010 to 2013, he served as vice president and enterprise executive for energy and the environment at both Colorado State University and Ohio State. In his decades with the Air Force, Air Force Reserves and NASA, Sega has flown more than 4,000 hours as a command pilot. He has written or co-written more than 100 technical publications. PCC’s graduation ceremony will be held at the Southwest Motors Events Center on the Colorado State Fairgrounds.